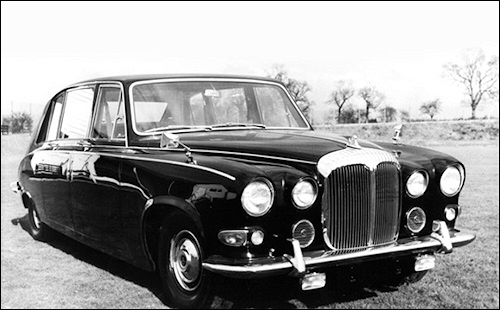 It's not often a seven-seater limousine comes along, powered by an engine which has won Le Mans five times—and the Monte Carlo Rally once. 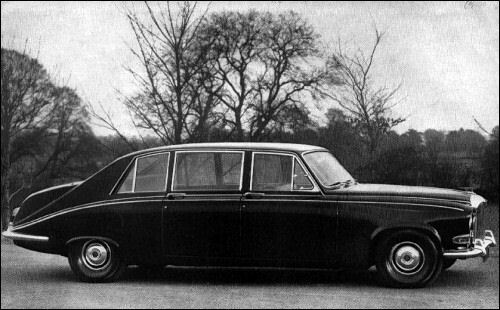 But such is the shapely Daimler Limousine, for it is powered by the famous Jaguar 'XK' six-cylinder engine with twin overhead camshafts. Although it is installed in 245 (gross) horsepower twin-carburettor form, it displays only smoothness, flexibility, and quiet-running—apart from its high power-output of course! 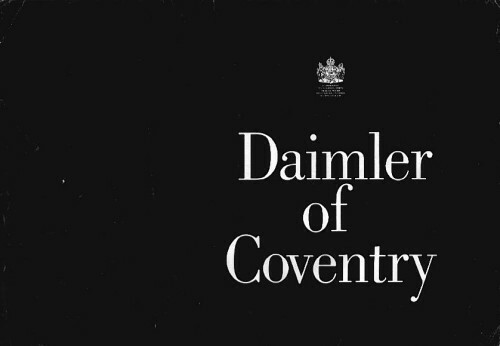 The Daimler Limousine has an overall length of 18ft. l0in., and is supplied as standard with Borg-Warner automatic. 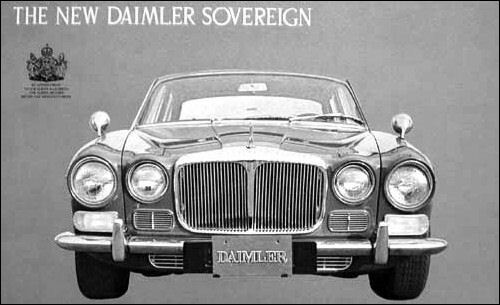 Basically the Jaguar XJ6 with a little more luxe, and with the traditional 'crinkly' radiator grille, the Daimler Sovereign has overdrive and power-steering as standard. Borg-Warner automatic transmission is also available at extra cost, and like the XJ6, Sovereigns come in 2.8 and 4.2-litre sizes. 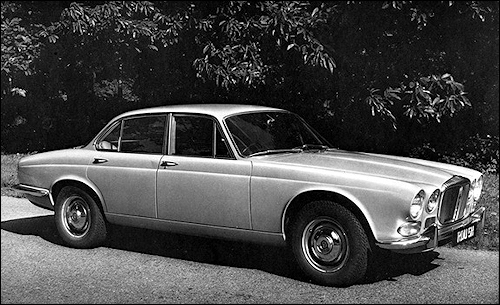 The leather upholstery has wider pleats than the Jaguar, and there are extended armrests on the front doors. The door cappings are in antique grain leathercloth, and with a chromium finisher the effect is very pleasing and in the Daimler tradition. Electrically-heated rear window is standard.